There are times in life when you just need to get away from the city to be alone and think. If you have only a few hours to do so, consider going to the Philosopher’s Garden (Filozófusok kertje) on Gellérthegy. Not a huge hike, only a couple minutes walk uphill from Döbrentei tér, and you arrive to a beautiful field, with a little surprise: statues of people who’ve changed the world. Who are they? Buddha, Bodhidharma, Jesus, Lao-ce, Ehnaton; and beside them Abraham, Gandhi and Francis of Assisi. 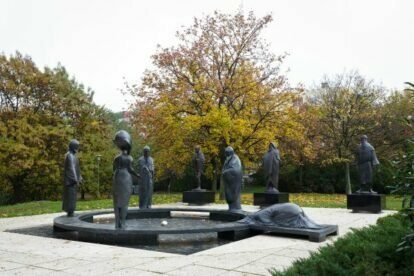 Their statues made by Nándor Wagner, and it gave the name to the place: the Philosopher’s Garden. If you plan to have a picnic or just grab a beer with friends, this place is also great. Or, as mentioned, you can just go there by yourself to meditate, and clear your head with a little hike.